Commercial and subsistence fishing is an important part of the heritage of Great Lakes communities. 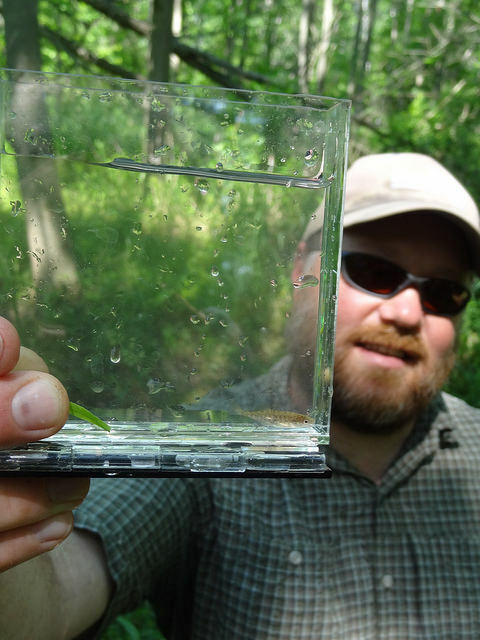 Fishers use nets to efficiently capture fish to feed families and people across the country. Storms, wind, shifting ice and waves can cause fishers to lose gill nets, a type of durable net commonly used in the Lake Superior fishery. Once the lines are broken, the nets can drift beneath the water’s surface for years, creating a potential hazard for anglers. 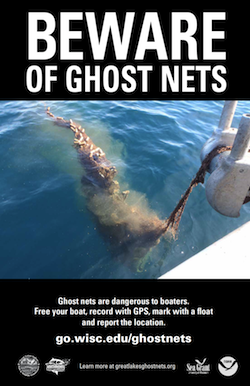 Boaters and recreational anglers and boaters can be at risk from having their propellers or fishing gear fouled by ghost nets, which can be a safety hazard or cause costly damage to vessels. In order to address this ongoing issue, Sea Grant, the Apostle Islands Sport Fishermen’s Association, the Great Lakes Indian Fish and Wildlife Commission and the NOAA Marine Debris Program formed a partnership to develop an education and outreach plan to prevent gill net loss and reduce this threat to the Lake Superior fishery. 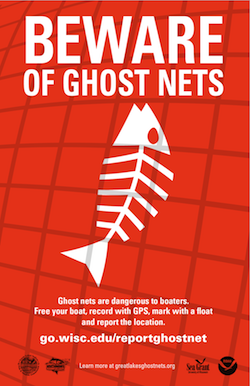 This project educates the group most likely to encounter commercial and ghost nets – recreational anglers. Sea Grant produced a video that highlights potential hazards to anglers from commercial gill nets and provides tips on how to avoid them or free tangled equipment. Educational signage at docks helps anglers identify and avoid fishing gear. The project team has held workshops for commercial and tribal fishers, as well as the public, to encourage changes in behavior that prevent marine debris from entering the marine environment. Participants received best practices and other tools for preventing fishing net loss, which helps reduce the number of ghost nets in the lake and the amount of harmful bycatch from the nets.